Man-Cub's class is having their Fall Party this morning. 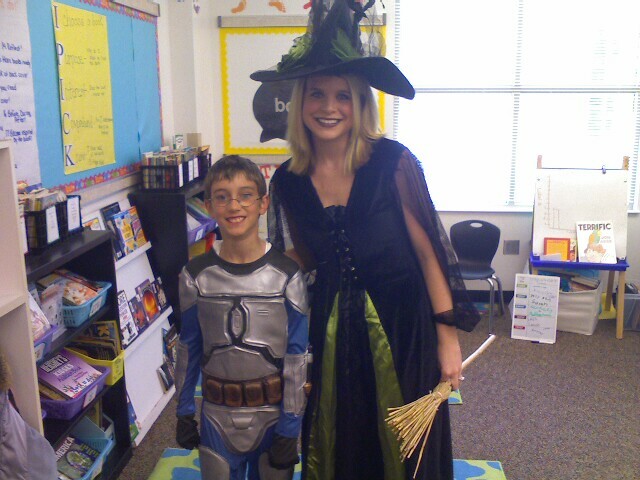 Costumes are allowed, but masks aren't (hence the helmetless Jango Fett and the non-green skinned teacher). In the words of the inestimable Jack Skellington, "Happy HalloWEEEEN!!!"